A north-east woman has raised more than £2,500 for charity through the creation of bespoke gin bottle lamps. Gin is more popular now than it’s ever been – and with the sunshine experienced across Scotland this summer, it’s a great way to cool down on a hot day. Plans to convert premises in a historic Aberdeen arch into an artisan gin distillery have been given the go ahead. Two north-east gin companies are raising a toast after winning awards at the Gin Masters 2018. A gin festival is set to return to Aberdeen this weekend. Five gin companies in the north-east will represent the region at a national awards ceremony taking place later this year. Gin lovers can look forward to a brand new festival celebrating the popular spirit later this year. A beer and gin festival is set to come to the north-east this summer. An Aberdeen barman has won the first leg of a cocktail competition. Hundreds of beer fans are expected to descend on a North-east venue for a popular outdoor festival. A North-east business owner who appeared on Dragons’ Den has seen sales soar – along with a £250,000 offer of investment. 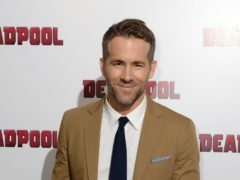 Ryan Reynolds has said he has continued the “long and in no way disastrous marriage of showbiz and alcohol” by buying a gin company. A North-east business owner who viewers saw go into business with Dragons’ Den star Peter Jones today revealed he had walked away from the deal. A North-east man has walked into the Dragons' Den hoping his gin brand will be just the tonic for the panel. Plans to convert a historic Aberdeen building into an artisan gin distillery have taken a step forward. An Aberdeen entrepreneur will pitch his House of Elrick gin on Dragons' Den this weekend. Beer fans will be able to enjoy a selection of tipples as a popular festival returns tomorrow. A North-east distillery has created the world’s strongest gin. A North-east distillery has followed up its production of Scotland’s first home-produced absinthe with a gin named after a 19th Century Inuit adventurer who came to the North-east on a whaling ship. A North-east couple who started distilling gin as a hobby from their garden shed have grown it into a successful business. High altitude wines are in, single cask whisky is a thing and magnums are big news. From food and drink events to top music and visual art, the North-east is set for a busy 2018. Tamsin Ross looks at some of the spectacular shows and fun-filled events in store. An Aberdeen entrepreneur is banking on a prime spot for her new city business.